The rising trend in physician practice acquisitions over the past several years is well documented and continuing to climb. A recently updated study from the Physicians Advocacy Institute (PAI) reported that hospitals nationwide acquired approximately 8,000 additional practices from July 2016 to January 2018. The percentage of hospital-owned practices increased by more than 70% over the entire study period from July 2012 to January 2018. The results of the PAI study combined with the recent uptick in private equity practice transactions, as outlined by Modern Healthcare in December 2018, makes physician acquisition appear to be a hot and trending topic . We will assume that healthcare professionals reading this article likely don’t need another exploration of the benefits of acquisition or the factors driving systems and private equity firms to purchase practices. Instead, we’d like to use this Coker Connection to emphasize some of the options outside of employment that practices and systems can leverage to align for better outcomes. There are signals in the marketplace that indicate independent practices aren’t on the decline as much as the articles above may imply. Just last October at the 2018 MGMA annual conference, a group of physicians shared some of the unintended consequences ­— higher costs, physician disengagement, flat or declining outcomes — of this acquisition influx and predicted that independent practices might make a comeback in the near future. 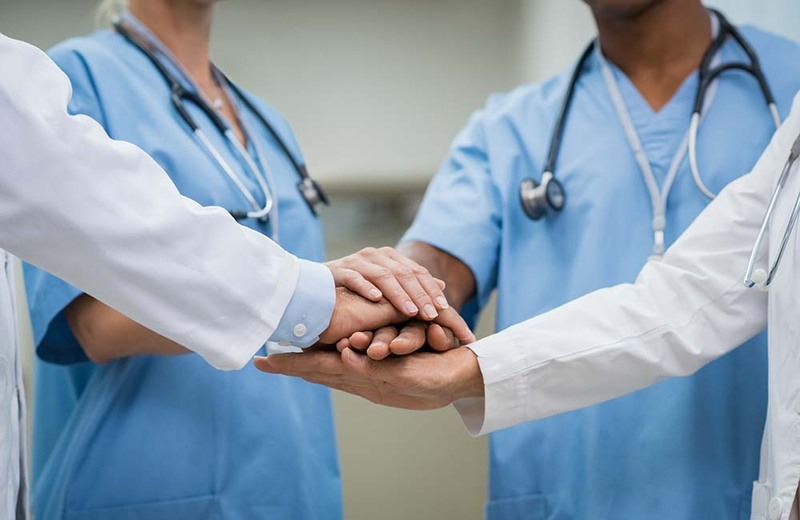 So, whether our readers come from large systems, private equity (PE) firms, or private practice, we hope this piece serves as a productive reminder that employment isn’t the only option when pursuing alignment between physicians and hospitals or health systems. Depending on the situation, the structures described below may offer a similar upside to employment or acquisition without the same unintended consequences or risks. For those who have followed or worked with our team at Coker Group, professional services agreements (PSAs) should not be a new concept or term. Our white paper on PSAs takes a deep dive into the many options available to those pursuing that model. Way back in 2012, when things like ACOs were still considered “unicorns,” Becker’s Hospital Review also wrote about the increase in PSAs as a viable option for systems and practices (they even referenced our team!). Today our team is observing steady, if not increasing, PSA activity and interest, and we’d like to remind readers of the various types of PSAs as well as some tips for those pursuing them. The categories below represent general guidelines for the various types of PSA models, but agreements do not need to fit rigidly within each. We often work with clients who mix and match different components of each model to develop a solution that works best for their goals and market. Think of a PSA like a pizza. While most can agree on the base ingredients, there are numerous variations in sauces, toppings, and crusts that can produce a delicious creation suited for the guest (except maybe sardines). Traditional PSA. A traditional PSA is a contract, typically between a hospital and practice, for professional services that are reimbursed using a rate per wRVU generated. The hospital or health system assumes ownership of the practice support structure by employing staff, managing billing and revenue cycle functions, and overseeing leadership/governance related to the practice team. These PSA providers are aligned with the network but do not face the same oversight as their employed colleagues. Global Payment PSA. The contract for professional services is similar to the traditional PSA except for the rate per wRVU encompasses both provider compensation and benefits cost. The global payment also includes fixed and variable overhead costs for the practice. Both parties collaborate to manage annual budgets and strategy, likely through a management committee, but the practice retains control of its entity and support structure (staff). Practice Management Arrangement. The providers are employed within this arrangement, but the practice’s legal entity is maintained. The practice continues to manage its staff, which are not employed by the hospital, through a separate management services agreement. The practice receives a fair market value (FMV) fee for such services. This model is essentially the inverse of the traditional PSA. Carve-Out PSA. The professional services within this model can be “carved-out” based on practice location, subspecialty, or providers that fall within the agreement. As an example, a gastroenterology (GI) group can align with a hospital for the provision of endoscopy services only. Related administrative costs are carved-out as well, and reimbursed separately by the hospital at an FMV rate. Hybrid Arrangements. Hybrid PSA arrangements, using the pizza toppings analogy, allows for both parties to mix and match the toppings. Any component from the models mentioned, such as medical directorships, quality incentive payments, compensation guarantees, and a number of payment or management services methodologies can be leveraged in a hybrid model. While there may be numerous ways to execute a PSA, compliance is one critical requirement. Compensation or professional service terms should meet FMV standards and be commercially reasonable, and the overall agreement should not violate any federal or state regulations (Stark, Anti-Kickback, etc.). As with any agreement, we recommend both parties work with legal counsel to execute the contract. Hospitals or practices that want to align but believe PSAs are a little too close for comfort might consider clinical co-management agreements (CCMA) as a more moderate and attractive strategy. Unlike PSAs, the alignment mechanisms in CCMAs do not involve contracts for professional services or management of practice support structures. CCMAs typically focus on a collaborative effort between individual providers and hospital leadership to achieve a predefined set of performance outcomes for a service line. We view these arrangements as a potential win-win for both parties to accomplish shared goals, which are often related to quality and the shift from volume to value. CCMAs continue to mitigate the financial investment required by the hospital, and limit any autonomy lost for independent providers. While there are several structures around which a CCMA may be built, all of these arrangements will include fees for the management services provided as well as a specific set of measurable outcomes for the CCMA entity to monitor and achieve. Fees often include a base rate, typically paid hourly and evaluated using an FMV calculation for administrative services within that specialty, as well as an incentive rate for exceeding the outcomes within the agreement. Below are descriptions for the various CCMA structures. For more detailed information on the formation, execution, and benefits of CCMAs, please check out our white paper on the topic. Traditional CCMA. A management agreement exists between a physician practice entity and the hospital. The contracted management services relate to a specific service line. This model is common when one practice aligns with the hospital as that does not require the creation of a separate entity. CCMA with New Entity. This model involves the creation of a new professional corporation (PC) or limited liability corporation (LLC) through which management services are administered and compensated. The agreement is between the hospital and the new entity, and more than one practice may join the new entity to support the management services. Joint Venture CCMA. A physician or group of physicians and the hospital create a jointly-owned new entity through which management services are administered. This CCMA model is less common as the joint venture and is subject to more regulation and a longer implementation timeline. Because the entity is owned by the hospital and physician(s), this type of CCMA is viewed as more permanent. Joint Oversight CCMA. Separate management agreements may exist between the hospital and physicians involved in this type of CCMA. Additionally, a formal oversight committee of representatives from all parties is formed to manage the performance of the CCMA goals. It is important to note that PSAs and CCMAs are far from the only ways for independent practitioners to partner with hospitals or health systems. Joining managed care networks or ACOs (no longer unicorns! ), setting up call coverage or medical directorship agreements, and creating or using management services organizations (MSOs) represent additional strategies for consideration among providers who want to align but remain independent. Acquisition will not necessarily slow down or become less relevant in healthcare, but it is important for those who want to grow their provider network or expand the reach of their practice to be mindful of the alignment options outside of acquisition, particularly those who may be dissuaded by some of its more negative factors. For a deep dive into physician services agreements, be sure to check out our updated white paper Modern PSAs: A Stable Alignment Model in an Unstable Healthcare Environment. If your practice, health system, or firm would like to learn more about Coker’s work in alignment strategy or physician services, please contact us here. Physicians Advocacy Institute. Updated Physician Practice Acquisition Study 2012- 2018: National and Regional Changes in Physician Employment. http://www.physiciansadvocacyinstitute.org/Portals/0/assets/docs/021919-Avalere-PAI-Physician-Employment-Trends-Study-2018-Update.pdf?ver=2019-02-19-162735-117. February 2019. Modern Healthcare. Dealmaking stayed hot in 2018, with a focus on physician practices. https://www.modernhealthcare.com/article/20181226/NEWS/181219908/dealmaking-stayed-hot-in-2018-with-a-focus-on-physician-practices. December 2018. FierceHealthcare. MGMA18: Dinosaurs? Hardly. A renaissance in independent physician practices, doctors say. https://www.fiercehealthcare.com/practices/mgma18-dinosaurs-hardly-a-renaissance-independent-physician-practices-doctors-say. October 2018. Becker’s Hospital Review. 7 Things Hospitals Should Know About Professional Services Agreements. https://www.beckershospitalreview.com/hospital-physician-relationships/7-things-hospitals-should-know-about-professional-services-agreements.html. May 2012.